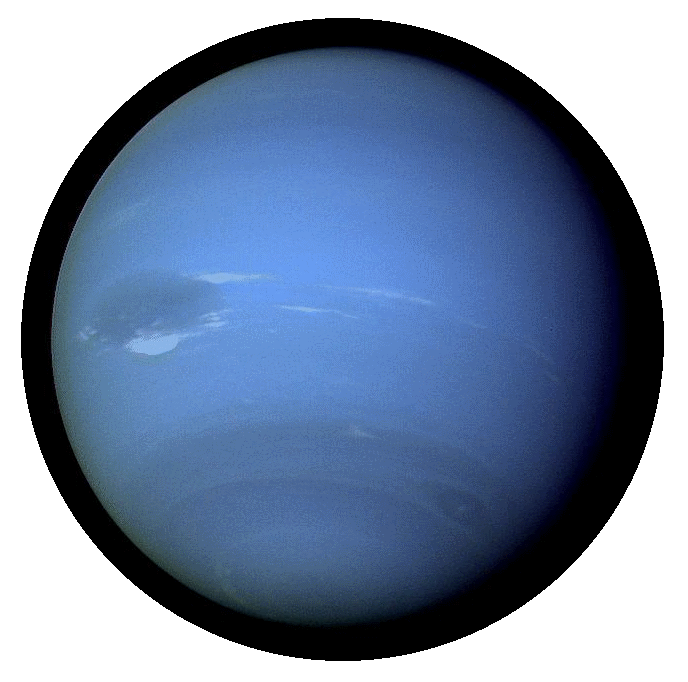 Neptune is the eighth and farthest known planet from the Sun. It is a huge ball of ice and gas almost four times the diameter of the Earth. Like the other gas giants it has no solid surface on which to stand.